The northern Douglas County line runs east to west from the Missouri River to the Platte River. In the far northeastern corner extending from Highway 75 east to the river there are farmlands and a forests. A collection of rolling hills extends south to Interstate 680 and Florence. These hills have a history of their own, starting long before the Pawnee began burying their dead along the hilltops throughout the Ponca Hills around the 1400s. European history in the area includes hangouts for horse thieves, an intriguing cemetery and The Forgot Store, as well as Pries Lake, Ponca School, Florence Ferry, Wyman Heights, Hummel Park and much more. The old Copper Valley probably never had copper in it, and Devil’s Slide may never have been used to worship Satan, but there is legitimate history to be told. Little farms have been here for more than 150 years to cultivate orchards and vineyards, with fruit trees, mineral springs and hops growing all around. There have been a lot of different animals seen in the Ponca Hills. A long time ago, there were bear and elk, mountain lions and other animals here. In 1906, there were reports of grey wolves killed in the hills, along with regular sightings of beaver and an occasional fox. In the area north of Florence are high hills and low valleys; natural springs and pathways made by American Indian hunting parties over the previous centuries. Here’s some of that history. This is a map of the Ponca Hills in North Omaha. The are extends from Pershing Drive to Highway 75, from I-680 to the county line. Maybe the best place to start with is looking at the places people have lived in throughout the Ponca Hills. Here are some details about the earliest inhabitants of the Ponca Hills, those who came after them, and the Europeans who stole their lands. This is a guess of what an American Indian earth lodge looked like circa 1200 A.D. The Ponca Nation probably never lived in the Ponca Hills. However, the Otoe, Omaha and Pawnee did. Around the turn of the 20th century when Omahans were feeling poetic about Native Americans, the area north of Florence gained the name Ponca Hills, and its been used informally since. As recently as 200 years ago, tribes kept large pit houses throughout the hills, with 35 to 50 people living in each one. Archaeologists surveying these homes’ remnants found multiple eras of inhabitation estimated to cover hundreds of years. Several of these houses have been excavated in Ponca Hills, with a Nebraska phase “Central Plains Village” that was occupied from A.D. 900 to 1450 located on North Post Road. There are also burial mounds in the Ponca Hills. Before modern Native American nations lived in the region, archeological evidence shows that Woodland tribes were located in the Ponca Hills, extending almost 2,000 years before European contact. The hills haven’t always looked the same though; there were times when they’ve been covered by old growth forests (before 1800 when white settlement began); times when they were completely barren (between 1847 and 1890 when white settlement peaked); and times like today, when they’re forested and full. The woods and prairies of the Ponca Hills were used for homes though, with dugouts, soddies, cabins and houses built in the hills and in neighboring towns, including Florence, Calhoun, Rockport and beyond. Myron Learned called his Wyman Heights home in North Omaha “Walden Wood,” and is shown in this pic from the Omaha Sunday Bee on August 27, 1911. After the European settlers started farms and ranches, built cabins and houses and generally took over the Ponca Hills en masse, more notable homes were built here. Later homes in the area included the Wyman bungalow, the Learned bungalow and the Ringwalt bungalow. In 1948, Henry B. Neef, the co-founder of the Gate City Iron Works, built a new home in the Ponca Hills. His eponymous Minne Lusa home was feeling small, so he had a massive new high tech house built. Covered with Nebraska sandstone, it included huge sheets of Thermopane glass and sat high on a hill looking over the Missouri River valley. In order to get to their homes in the hills, these residents needed a way across the mighty Missouri River to reach the Ponca Hills. Following is the story of the Florence Ferry. This is the steam ferry called “Nebraska” that used to land at the Florence Ferry dock. The Ponca Hills are pictured at left. This sketch of Mormon pioneers landing at Florence was done in 1856 by George Simons. Since it sat on the northern end of the town, any discussion of the history of Ponca Hills has to include Florence. At that end was the Florence Ferry, which for a century from 1846 through 1952 was the only was across the river here. Located at the end of Ferry Street, the boat was originally a small barge on a rope that was later replaced by a chain. Later, a steam ferry boat called Nebraska served duty at the dock. However, by the turn of the 20th century the ferry was a barge again. Officially incorporated in February 1855, James C. Mitchell was given an exclusive monopoly to run a ferry north of Omaha by the Nebraska Territorial Legislature. Because of its important job for pioneers, the Florence Ferry made its way into all kinds of travel journals between the 1840s and 1920s, including Mormons, Oregon route travelers, adventurers, hunters and trappers, and others. Many would camp on the west bank of the river, getting supplies from the stores in Florence and then moving out along the Overland Trail to the Great Platte River Road and beyond after that. Instead of moving along though, some pioneers decided to stay put where they landed. In 1854, they might have stayed in Florence, traveled to the town of Saratoga, went across the Washington County line to a little place called Rockport, or Calhoun or Blair, all while while the old Fort Atkinson was falling apart and the Council Bluff was being forgotten. They might’ve gone to an upstart village downriver on the plains rolling out from the Missouri River into Nebraska Territory called Omaha City. Or they might’ve moved into the Ponca Hills. This is a 1950s close up of the Ponca Hills. Notice the Mormon Bridge and Minne Lusa Pumping Station in the foreground. At this point, the hills were mostly stripped bare of their woods. Harvested by sawmills in Florence, all of the rolling lands of the Ponca Hills were stripped bare between 1846 and 1856. Starting in 1854, companies like Minne Lusa Lumber and the Florence Lumber Company sold to the pioneers after the Mormons cut down trees to build a mill, houses and more for the Winter Quarters in 1846. It stayed that way until 1952 when the first span of the Mormon Bridge was built. One of other most important transportation fixtures in the Ponca Hills is a road that travels through the heart of the area. The Mormons were the first significant European settlers to cross near the Ponca Hills. Within the next decade, the area saw endless incursions by white settlers who were determined to make their way in the area. One of those families were the Shipleys, and they were led by William Shipley. Next is the story of the cemetery started by his family. This is the official Nebraska State Historical Society marker for the Shipley Cemetery in the Ponca Hills. For a long time, it was believed that the first European settler in the Ponca Hills was William Shipley, who established the Shipley Cemetery. Located in the heart of the Ponca Hills where County Road 49 meets the Washington County Line, the oldest known burial at Shipley Cemetery was in 1861. There are more than 25 burials with the Shipley name, out of almost 200 total burials, with the last happening in 1939. After an extensive restoration finished in 1981, the cemetery is maintained by the Shipley Cemetery Historical Association and the Washington County Historical Society. This 1960s image of a fire truck at the Ponca Hills Volunteer Fire Department includes a man with two children. Before June 1964, the Irvington Fire Department covered the Ponca Hills. However, early that year they ended coverage for the region from North 60th to the river, McKinley to the Washington County line. In June 1964, a “fire alarm meeting” was held at the old Ponca School to incorporate the Ponca Hills Volunteer Fire Department, or PHVFD. Officially opening at the school in November 1964, the first annual summer BBQ picnic was held in August 1965, and it has continued to be a tremendous fundraiser for their activities. Its been held annually since then, and has included BBQ meats, boiled corn, carnival booths and more. The Ponca Hills Farm has held regular fundraisers for the PHVFD, too, and there is an annual dance benefit too. There are other longtime, iconic institutions in the Ponca Hills. One of them is an old church called St. John’s. St. John Lutheran Church, 11120 Calhoun Road in the Ponca Hills. The most noted religious institution in the Ponca Hills is St. John Lutheran Church. Founded in 1902, the church was built on Calhoun Road. There were other churches in the area throughout the years though, including the Ponca Hills Presbyterian Church. If you know more about any of these let me know in the comments section below. This was the A-Ri-Rang Club in the Ponca Hills. Opened in 1949, the building burnt down in 2010. A long-gone fixture of the Ponca Hills was a private supper club located along Oakridge Drive called the A-Ri-Rang Club. After the Korean American Ben family opened it in July 1949, the A-Ri-Rang became a well-regarded restaurant and stayed that way for more than 50 years. From the 1950s through the 1980s, Omaha’s Asian American community held numerous activities there, including weddings, socials, mah-jong tournaments, and other activities. For instance, in 1961, the Japanese-American Citizens League held a banquet at the club to honor contributions of Omaha’s Japanese American residents. People of Korean and Chinese descent also held events there. Other organizations held event there, too, like the Florence Lions and the Florence Masons, as well as families celebrating special events and couples going out for a nice dinner. When Earl Ben, originally named Sang Kuk Phuyn, passed away in 1971, his wife Helen continued operating A-Ri-Rang. As a private club, it had more than 800 members who kept it operating. In 2010, the A-Ri-Rang club burned down. Four years later, the site was cleaned up and today, there are few signs it was ever there. Visible here is the intersection of Oakridge Drive and River Road, from Pries Lake looking south over the river bottoms. Another long-time shady place is still standing. Pries might not have made it, but his compatriots at the Forgot Store did! According to Omaha Public Schools, a settler named Tomas Price donated the land for 8 students to attend the original one-room log building that housed Ponca School in 1871. This early building might have been called the Fairview School. Destroyed by fire, by 1890 it was reconstructed and an addition was added. In 1899, that building was sold to J. P. Brown. Another one-room building was built, and in 1903 another room was added. Two more additions were added after that. In 1959, Ponca School District was merged with Omaha Public Schools. In 1963, the old Ponca School was sold to the Ponca Hills Volunteer Fire Department. Built in 1964 at 11300 North Post Road, the current building was was due for extensive renovations, including heating systems and more for more than 25 years. After a contentious campaign in 2016, the school was approved for a facelift by the Omaha School Board. Now, OPS anticipates its continued use through the coming century. Ponca School might not have been the first school in the area though! More than 50 years before it was started, there might’ve been a school at Fort Lisa. One of the more recent developments in the Ponca Hills is Wyman Heights. The Wyman Heights neighborhood, among the most unique in the city, was founded in 1926 by prominent Omaha realtor Henry Wyman. Learn more about it in “A History of the Wyman Heights Neighborhood” by special contributor Patrick Wyman. This is the east entrance to Hummel Park in 1944. The signage was created by the Civilian Conservation Corps in 1936. This is a 1966 pic of the Ponca Hills Farm. Note the large indoor arena and the barn, which is heated. In 1964, J. Allan and Ann Mactier established Ponca Hills Farm with Nebraska’s first indoor riding arena and a large heated barn to allow riders and horses to train throughout the winter. Located at 16050 North 42nd Street, hunter/jumper champions were produced at the farm for years, with showings at Devon, Harrisburg, Madison Square Garden, the Washington International, and Palm Beach. In 1972, one of their horses was shipped to Munich for the Olympic Show Jumping team. In the early 1970s, J. Allan Mactier to bred yearlings to enter in horse races at Aksarben and Churchill Downs. In 1984, he sold a horse to a Dubai sheik, and it was named European Filly of the Year in 1986. For several decades during this era, there was a United States Marine Corps Reserve firing area located north of the Ponca Hills in Washington County. A number of times, the range was responsible for spooking the horses at the farm. The farm continues today, hosting world-famous horse riding instructors and boarding, as well as continuing to offer a summer camp and teaching a horse riding program at Ponca School. The End of Horse Thieves? The 1858 vigilante lynching of Harvey Braden and James Daley happened north of Florence. There’s a little cave in the Ponca Hills where a lot of people have thought horse thieves hid out. While that mystery may be sussed out in the future, here I want to tell you the story of two unsuccessful criminals. In 1858, two horse thieves named Harvey Braden and James Daley were caught stealing horses from a farm north of Florence. After being arrested and thrown into the county jail in Omaha, a mob showed up demanding justice. Thrown into the back of a wagon, they were led to the spot two miles north of Florence where the farmer caught them earlier in the day. Using the wagon they were brought on, the men were strung up and hung. The Douglas County sheriff rode up to Florence and got the bodies the next day. When the judge called the men of Omaha to the courthouse that day, he asked them who did it. Nobody admitted any fault, and nobody would say who else was involved. Nobody was ever accused, tried, or convicted for murdering the two men. 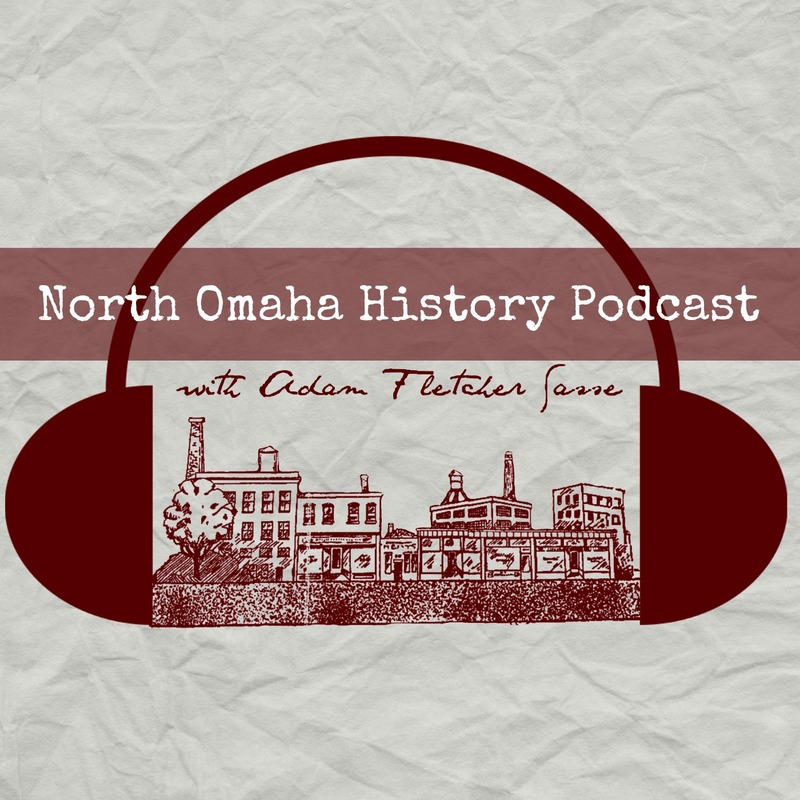 Eventually, the truth came out that many of Omaha and Florence’s leading pioneers were involved in the lynching. There were much older historical events that happened in the Ponca Hills. The next section includes information about some of the archeology that’s happened in the Ponca Hills. This April 24, 1938 newspaper headline highlights recent archeology in the Ponca Hills. In 1938, the Nebraska State Historical Society unearthed a burial site in the Ponca Hills. Their excavation was 135′ long, 15′ wide and four feet deep. Early estimations placed their finds from 400 A.D., with skeletons, pottery and other implements found, too. Assisted by laborers from the Works Progress Administration, the findings were brought to the Nebraska State History Museum in Lincoln. They were associated with earlier findings by Gilder. Edith Neale’s father homesteaded 120-acres of Ponca Hills in the 1850s, and his daughter donated it to the Fontenelle Forest Association in 1971. One of the founders of that association was Carl Jonas’ father, whose son donated another 60-acres of neighboring land. After he died, another 112-acres were donated, and today the former farmhouse is the Neale Woods Nature Center. In the 1980s, 25-acres of the land was cleared replanted to replicate the hills’ ecosystem in the 1850s when Neale homesteaded the land. Today, there are more than 600-acres included as part of Neale Woods. George Hirschornon was a German contortionist and vaudeville performer who toured the U.S. with his family singing and performing with him. In 1936, they settled at South 51st and Center Street and opened the Alpine Inn as a Bavarian-style bar. Today, the Alpine Inn is a modern landmark in the Ponca Hills at 10405 Calhoun Road. The original location burnt down in 1942, and was reopened in 1945 at its present site. In 1973, it was bought by Glen Robey. Today, the restaurant is regularly included on lists of the best places to eat in Nebraska, and its chicken is nationally ranked in the top 50 places nationwide. While Chip Davis, John Denver and Keith Black all ate there, its the raccoons and wild house cats that keep everyone coming back. When I was a kid we’d watch them eat fish and chicken bones for an hour. Today, the restaurant is run by the third generation of the Roby family. More recently, the Ponca Hills have become seen as revered, hallowed and haunted. Murders at Hummel Park mix with urban legends about people without pigmentation in their skin and Satan worshippers. The hidden horrors of the Franklin Scandal mingle with tales about the Intercessors of the Lamb, while fox hunts happen on sprawling acreages. Plenty of wealth has found a home in the area, with old Omaha family names like Latenser and more. Starting in 1975, the Loop became home to the Omaha Marathon, which is a qualifying race for the Boston Marathon. Known as a hilly route, marathon organizers eventually switched the path to a less hilly course that didn’t go that far north and is thought of as “fast and flat.” However, for a while the Ponca Hills were essential to making Omaha an important place to run! In 1984, a contentious Christian organization called the Intercessors of the Lamb bought land in the Ponca Hills. After being eschewed by the Catholic Archdiocese of Omaha since their formation, in 1994 the group asked to become a full religious institute of the church. That year, the church officially suppressed the organization, which reformed as a private nonprofit. A different new community was officially endorsed by the Archdiocese, and the Intercessors continues operating. Starting in the 1980s, the Omaha Lounge Suit Society, listening to blowing Alpine horns, wearing a disbanded British colonial unit regimental tie from India, and sipping champagne has been known to gather within the fields and forests of Ponca Hills. There are so many other stories from the history of Ponca Hills – share yours in the comments below! In the early age of cars after the turn of the century, there was a popular tourist loop through the Ponca Hills. Starting on River Road, aka J. J. Pershing Drive, drivers would head north to Ponca Road. Turning west, they would follow that road to The Forgot Store. Turning south on Calhoun Road, they’d head south to North 30th Street and into the town of Florence. Along the way, they’d visit some of the sites below. Thanks to advances in archeology and historical studies, I’ve been able to add other sites to my historic tour of Ponca Hills, too. Site of Fort Lisa, near the junction of J.J. Pershing Drive and Ponca Road in the Ponca Hills. “Ponca Hills: A Refuge for Community and Wildlife” by Ashley Wegner for Omaha Magazine on October 12, 2016. This is a sign for Ponca Creek by J J Pershing Drive and Ponca Road in 1963. This 1963 pic of Ponca Creek was included in a newspaper’s expose on pollution in Omaha’s environment. This is the second Henry B. Neef House, built in 1948 in the Ponca Hills. This is a 1908 map showing the location of Pries Lake in the Ponca Hills. This is Pries Lake in the 1890s, looking east toward the Missouri River. This view is unavailable today since the lake was drained in the 1920s. This home is located in the Ponca Hills. This was the John Latenser country home located in the Ponca Hills. The Harry B. Neef house was (is?) located in Ponca Hills. These are random homes located in Ponca Hills. If you have any information on them, please leave details in the comment section! This is a map of the 4th annual Omaha Marathon, including a segment through the Ponca Hills. This is a 1930s picture of the Frank Latenser House at 4014 North Post Road in the Ponca Hills. A private religious nonprofit owns it today. Thank you for the edit! We held numerous fundraisers over the years totally on the upwards of $100,00.00 for various people and organizations. Every beer can was saved to help the homeless of Omaha and always lower income households at Christmas time. So again, thank you for the edit! Where does one purchase the book about Ponca Hills? You may be referring to the Christmas Tree farm on Calhoun Road. We purchased a house and 5 acres from Dr. Engdahl in 1976. My husband, Tom Withers, is a tree lover and planted about 1300 pine trees on the plot of land adjacent to the house and yard. When they matured, he sold them as Christmas Trees. We sold the house in 1990 and had a new house built on the Christmas tree farm site. The trees grew too large to sell for Christmas but provided a lovely yard. Then the pine bug came calling and the trees died. Tom replaced the pines with deciduous trees and we still have a lovely yard. I don’t think that’s the Latenser house but a meeting house that used to be a horse barn. The house that is there is somewhat stately but everything has been painted blue and white (mostly blue). Their are some stone carved fragments from old buildings around the property. Very interesting reading. Learned a few new interesting facts. I’ve lived in the Ponca Hills area my entire life. Wouldn’t live anywhere else!